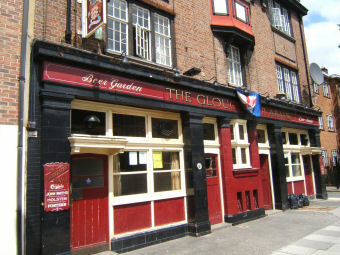 This pub has been closed down and a planning application has been made to demolish and build new houses on site. Still plucking up the courage to go in, this pub looks, at least from the outside, like it has a good claim to be 'NW5's Most Scary'. Pranced into this lovely old boozer a few days back. Had several ambrosial halves of Guinness. Some of the customers looked at me in a funny way, though. Anyone attending a gig in the forum,would do well to use this pub,good Beer,Good Service and about 40p cheaper than the other Boozers in the area.